Mumps is a relatively mild short-term viral infection of the salivary glands that usually occurs during childhood. Typically, mumps is characterized by a painful swelling of both cheek areas, although the person could have swelling on one side or no perceivable swelling at all. The salivary glands are also called the parotid glands, therefore, mumps is sometimes referred to as an inflammation of the parotid glands (epidemic parotitis). The word mumps comes from an old English dialect, meaning lumps or bumps within the cheeks. Mumps is a very contagious infection that spreads easily in such highly populated areas as day care centers and schools. Although not as contagious as measles or chickenpox, mumps was once quite common. Prior to the release of a mumps vaccine in the United States in 1967, approximately 92% of all children had been exposed to mumps by the age of 15. In these pre-vaccine years, most children contracted mumps between the ages of four and seven. Mumps epidemics came in two to five year cycles. The greatest mumps epidemic was in 1941 when approximately 250 cases were reported for every 100,000 people. In 1968, the year after the live mumps vaccine was released, only 76 cases were reported for every 100,000 people. By 1985, less than 3,000 cases of mumps were reported throughout the entire United States, which works out to about 1 case per 100,000 people. The reason for the decline in mumps was the increased usage of the mumps vaccine. However, 1987 noted a five-fold increase in the incidence of the disease because of the reluctance of some states to adopt comprehensive school immunization laws. Since then, state-enforced school entry requirements have achieved student immunization rates of nearly 100% in kindergarten and first grade. In 1996, the Centers for Disease Control and Prevention (CDC) reported only 751 cases of mumps nationwide, or, in other words, about one case for every five million people. The paramyxovirus that causes mumps is harbored in the saliva and is spread by sneezing, coughing, and other direct contact with another person's infected saliva. Once the person is exposed to the virus, symptoms generally occur in 14-24 days. Initial symptoms include chills, headache, loss of appetite, and a lack of energy. However, an infected person may not experience these initial symptoms. Swelling of the salivary glands in the face (parotitis) generally occurs within 12-24 hours of the above symptoms. Accompanying the swollen glands is pain on chewing or swallowing, especially with acidic beverages, such as lemonade. A fever as high as 1048F (40°C) is also common. Swelling of the glands reaches a maximum on about the second day and usually disappears by the seventh day. Once a person has contracted mumps, they become immune to the disease, despite how mild or severe their symptoms may have been. While the majority of cases of mumps are uncomplicated and pass without incident, some complications can occur. Complications are, however, more noticeable in adults who get the infection. In 15% of cases, the covering of the brain and spinal cord becomes inflamed (meningitis). Symptoms of meningitis usually develop within four or five days after the first signs of mumps. These symptoms include a stiff neck, headache, vomiting, and a lack of energy. Mumps meningitis is usually resolved within seven days, and damage to the brain is exceedingly rare. The mumps infection can spread into the brain causing inflammation of the brain (encephalitis). Symptoms of mumps encephalitis include the inability to feel pain, seizures, and high fever. Encephalitis can occur during the parotitis stage or one to two weeks later. Recovery from mumps encephalitis is usually complete, although complications, such as seizure disorders, have been noted. Only about 1 in 100 with mumps encephalitis dies from the complication. When mumps reaches epidemic proportions, diagnosis is relatively easy on the basis of the physical symptoms. The doctor will take the child's temperature, gently palpate (touch) the skin over the parotid glands, and look inside the child's mouth. If the child has mumps, the openings to the ducts inside the mouth will be slightly inflamed and have a "pouty" appearance. With so many people vaccinated today, a case of mumps must be properly diagnosed in the event the salivary glands are swollen for reasons other than viral infection. For example, in persons with poor oral hygiene, the salivary glands can be infected with bacteria. In these cases, antibiotics are necessary. Also in rare cases, the salivary glands can become blocked, develop tumors, or swell due to the use of certain drugs, such as iodine. A test can be performed to determine whether the person with swelling of the salivary glands actually has the mumps virus. When mumps does occurs, the illness is usually allowed to run its course. The symptoms, however, are treatable. Because of difficulty swallowing, the most important challenge is to keep the patient fed and hydrated. The individual should be provided a soft diet, consisting of cooked cereals, mashed potatoes, broth-based soups, prepared baby foods, or foods put through a home food processor. Aspirin, acetaminophen, or ibuprofen can relieve some of the pain due to swelling, headache, and fever. Avoid fruit juices and other acidic foods or beverages that can irritate the salivary glands. Avoid dairy products that can be hard to digest. In the event of complications, a physician should be contacted at once. For example, if orchitis occurs, a physician should be called. Also, supporting the scrotum in a cotton bed on an adhesive-tape bridge between the thighs can minimize tension. Ice packs are also helpful. A number of homeopathic remedies can be used for the treatment of mumps. For example, belladonna may be useful for flushing, redness, and swelling. Bryonia (wild hops) may be useful for irritability, lack of energy, or thirst. Phytolacca (poke root) may be prescribed for extremely swollen glands. A homeopathic physician should always be consulted for appropriate doses for children, and remedies that do not work within one day should be stopped. A homeopathic preparation of the mumps virus can also be used prophylactically or as a treatment for the disease. Several herbal remedies may be useful in helping the body recover from the infection or may help alleviate the discomfort associated with the disease. Echinacea (Echinacea spp.) can be used to boost the immune system and help the body fight the infection. Other herbs taken internally, such as cleavers (Galium aparine), calendula (Calendula officinalis), and phytolacca (poke root), target the lymphatic system and may help to enhance the activity of the body's internal filtration system. Since phytolacca can be toxic, it should only be used by patients under the care of a skilled practitioner. Topical applications are also useful in relieving the discomfort of mumps. A cloth dipped in a heated mixture of vinegar and cayenne (Capsicum frutescens) can be wrapped around the neck several times a day. Cleavers or calendula can also be combined with vinegar, heated, and applied in a similar manner. A vaccine exists to protect against mumps. The vaccine preparation (MMR) is usually given as part of a combination injection that helps protect against measles, mumps, and rubella. MMR is a live vaccine administered in one dose between the ages of 12-15 months, 4-6 years, or 11-12 years. Persons who are unsure of their mumps history and/or mumps vaccination history should be vaccinated. Susceptible health care workers, especially those who work in hospitals, should be vaccinated. Because mumps is still prevalent throughout the world, susceptible persons over age one who are traveling abroad would benefit from receiving the mumps vaccine. Pregnant women who contract mumps during pregnancy have an increased rate of miscarriage, but not birth defects. As a result, pregnant women should not receive the mumps vaccine because of the possibility of damage to the fetus. Women who have had the vaccine should postpone pregnancy for three months after vaccination. Unvaccinated persons who have been exposed to mumps should not get the vaccine, as it may not provide protection. The person should, however, be vaccinated if no symptoms result from the exposure to mumps. The CDC recommends that all children infected with human immunodeficiency disease (HIV) who are asymptomatic should receive an the MMR vaccine at 15 months of age. In the fall of 2002, the New England Journal of Medicine published a major Danish study disproving the hypothesis of a connection between the MMR vaccine and autism. A second study in Finland showed that the vaccine is not associated with aseptic meningitis or encephalitis as well as autism. Since these studies were published, American primary care physicians have once again reminded parents of the importance of immunizing their children against mumps and other childhood diseases. Asymptomatic — Persons who carry a disease and may be capable of transmitting the disease but who do not exhibit symptoms of the disease are said to be asymptomatic. Autism — A severe developmental disorder that usually begins before three years of age and affects a child's social as well as intellectual development. Some researchers theorized that immunization with the MMR vaccine was a risk factor for autism. Encephalitis — Inflammation of the brain. Epidemic parotitis — The medical name for mumps. Immunoglobulin G (IgG) — A group of antibodies against certain viral infections that circulate in the bloodstream. One type of IgG is specific against the mumps paramyxovirus. Meningitis — Inflammation of the membranes covering the brain and spinal cord. Orchitis — Inflammation or swelling of the scrotal sac containing the testicles. Paramyxovirus — A genus of viruses that includes the causative agent of mumps. Parotitis — Inflammation and swelling of the salivary glands. Beers, Mark H., MD, and Robert Berkow, MD, editors. "Viral Infections: Mumps." Section 19, Chapter 265. In The Merck Manual of Diagnosis and Therapy. Whitehouse Station, NJ: Merck Research Laboratories, 2004. Gabutti, G., M. C. Rota, S. Salmaso, et al. "Epidemiology of Measles, Mumps and Rubella in Italy." Epidemiology and Infection 129 (December 2002): 543-550. Kimmel, S. R. "Vaccine Adverse Events: Separating Myth From Reality." American Family Physician 66 (December 1, 2002): 2113-2120. Madsen, K. M., A. Hviid, M. Vestergaard, et al. "A Population-Based Study of Measles, Mumps, and Rubella Vaccination and Autism." New England Journal of Medicine 347 (November 7, 2002): 1477-1482. Makela, A., J. P. Nuorti, and H. Peltola. "Neurologic Disorders After Measles-Mumps-Rubella Vaccination." Pediatrics 110 (November 2002): 957-963. McKie, A., D. Samuel, B. Cohen, and N. A. Saunders. "A Quantitative Immuno-PCR Assay for the Detection of Mumps-Specific IgG." Journal of Immunological Methods 270 (December 1, 2002): 135-141. Nielsen, S. E., O. H. Nielsen, B. Vainer, and M. H. Claesson. "Inflammatory Bowel Disease—Do Microorganisms Play a Role?" [in Danish] Ugeskrift for laeger 164 (December 9, 2002): 5947-5950. Pugh, R. N., B. Akinosi, S. Pooransingh, et al. "An Outbreak of Mumps in the Metropolitan Area of Walsall, UK." International Journal of Infectious Diseases 6 (December 2002): 283-287.
a communicable paramyxovirus disease that attacks one or both of the parotid glands, the largest of the salivary glands. Occasionally the submandibular glands are also affected. Although older people may contract the disease, mumps usually strikes children between the ages of 5 and 15. It is spread by droplet infection and is contagious in the infected person from 1 to 2 days before symptoms appear until 1 or 2 days after they disappear. The incubation period is usually 18 days, although it may vary from 12 to 26 days. One attack usually gives immunity. Called also contagious or epidemic parotitis. Symptoms. Often the first noticeable symptom of mumps is a swelling of one of the parotid glands. The swelling is frequently accompanied by pain and tenderness. Occasionally acidic foods and beverages may cause an increase in the pain. In the first stage of mumps, the patient may have a fever of 38° to 40°C (100° to 104°F). Other common symptoms include loss of appetite, headache, and back pain. The swelling increases for the first 2 or 3 days and then diminishes, disappearing by the sixth or seventh day. The swelling usually appears first on one side and then on the other, with as many as 12 days intervening. Sometimes both sides swell at once; occasionally the second side does not swell at all. Mumps may also occur virtually without symptoms; this mild form is responsible for the presence of antibodies and immunity in persons who cannot recall having had the disease and yet seem to be immune to it. Complications. Mumps may affect other parts of the body as well as the salivary glands. In the male, when the testes are affected, the infection is known as orchitis. It strikes about one-third of those who contract mumps after the age of puberty. Orchitis may occur before the swelling of the parotid glands, but usually does not develop until about 7 to 10 days thereafter. Involvement of the gonads in females is less common and more difficult to detect. Lower abdominal pain and enlargement of the ovaries are symptoms indicating involvement of the ovaries. The breasts may also be affected. Mumps may affect the central nervous system. Acute meningoencephalitis is a complication in about 10 per cent of cases. It causes dizziness, vomiting, and headache. It may occur before the parotid glands swell or in the absence of other signs of mumps. No specific treatment is required, and the condition disappears without causing permanent damage. Other less common complications are involvement of the auditory nerve (resulting in deafness), myelitis, and facial neuritis. Treatment. Most children with mumps do not feel ill enough to be confined to bed, and it is sufficient if they remain quietly at home, unless there is a rise in temperature or a complication develops. The Centers for Disease Control and Prevention recommend droplet precautions for 9 days after the onset of swelling. Persons who are not susceptible need not wear masks while in contact with the person who has mumps. Prevention. Men over the age of puberty who are still susceptible to mumps should avoid contact with the patient. The mumps virus cannot survive for any length of time in open air, so it is unnecessary to take special precautions with the patient's clothing, bedding, dishes, or utensils. The mumps vaccine induces antibodies in 95 per cent of those inoculated, but it does not afford protection if given during the incubation period following exposure, and it is contraindicated if another infection is present. Children should receive the mumps vaccine with measles and rubella vaccination at 12 to 15 months of age, with a second immunization when they are 4 to 6 years old. It is not given to infants under one year of age and is not recommended for persons allergic to eggs or neomycin. Mumps immune globulin may afford short-term immunity when there is an extraordinary need for protection, but the extent of its effectiveness is not known. 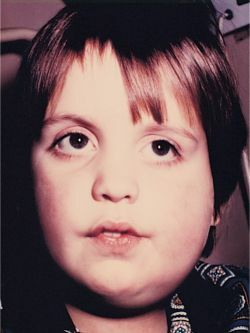 (mumps) an acute contagious paramyxovirus disease seen mainly in childhood, involving chiefly the salivary glands, most often the parotids, but other tissues, e.g., the meninges and testes (in postpubertal males), may be affected. An acute, inflammatory, contagious disease caused by a paramyxovirus and characterized by swelling of the salivary glands, especially the parotids, and sometimes of the pancreas, ovaries, or testes. This disease, mainly affecting children, can be prevented by vaccination. an acute viral disease, characterized by a swelling of the parotid glands, caused by a paramyxovirus. It is most likely to affect children between 5 and 15 years of age, but it may occur at any age. In adulthood the infection may be severe. Passive immunity from maternal antibodies usually prevents this disease in children younger than 1 year of age. The incidence of mumps is highest during the late winter and early spring. The mumps paramyxovirus is present in the saliva of the affected individual and is transmitted in droplets or by direct contact. The virus is present in the saliva from 6 days before to 9 days after the onset of the swelling of the parotid gland. The time of maximum communicability is believed to be the 48-hour period immediately before the start of parotid swelling. The prognosis in mumps is good, but the disease sometimes involves complications, such as arthritis, pancreatitis, myocarditis, oophoritis, and nephritis. About half of the men with mumps-induced orchitis suffer some atrophy of the testicles, but, because the condition is usually unilateral, sterility rarely results. Also called epidemic parotitis, infectious parotitis. observations The common symptoms of mumps usually last for about 24 hours; they include anorexia, headache, malaise, and low-grade fever. These signs are commonly followed by earache, parotid gland swelling, and a temperature of 101° F to 104° F (38.3° C to 40° C). The patient also experiences pain when drinking acidic liquids or when chewing. The salivary glands also may become swollen. Complications, such as epididymoorchitis and mumps meningitis, may develop. In about 25% of the postpubertal men who contract mumps, epididymoorchitis with associated testicular swelling and tenderness that may persist for several weeks develops. Mumps meningitis develops in 10% of patients with mumps and occurs in three to five times as many male as female patients. Diagnosis of mumps is usually based on typical symptoms, especially parotid gland swelling. If the parotid gland is not swollen, confirming diagnosis may be based on serological antibody tests. interventions The treatment of mumps commonly includes the respiratory isolation of the patient and the administration of analgesics, antipyretics, and fluids adequate to prevent dehydration associated with fever and anorexia. IV fluids may be administered to the patient who cannot swallow as the result of severe parotitis. nursing considerations The patient is confined to bed and may be given antipyretics and tepid sponge baths to reduce fever. Patients with mumps are also encouraged to drink fluids and to avoid spicy or tart foods and those that require considerable chewing. During the acute phase of the disease, the nurse is especially alert to any signs of central nervous system involvement, such as nuchal rigidity and altered consciousness. All cases of mumps are routinely reported to local health authorities. Nurses aid public health education by stressing the importance of immunization with live attenuated mumps virus for children at 15 months of age and for susceptible people, especially males who are approaching puberty or who are past puberty. Immunization within 24 hours of exposure may prevent the disease or minimize its effects. Pediatrics Acute infection by a paramyxovirus, common in young children Clinical Fever, malaise, parotiditis Complications Aseptic meningoencephalitis, pancreatitis, orchitis. See Iodine mumps, Mumps vaccine, Nutritional mumps. 1. An acute exanthematous disease, caused by measles virus and marked by fever and other constitutional disturbances, a catarrhal inflammation of the respiratory mucous membranes, and a generalized maculopapular eruption of a dusky red color; the eruption occurs early on the buccal mucous membrane in the form of Koplik spots; incubation period is 10-12 days. 2. A disease of swine caused by the presence of Cysticercus cellulosae, the measle or larva of Taenia solium, the pork tapeworm. 3. A disease of cattle caused by the presence of C. bovis, the measle or larva of T. saginata, the beef tapeworm. Combination of live attenuated forms of these viruses in an aqueous suspension. An acute paramyxovirus infection, spread by droplet transmission and most commonly affecting children. It causes fever, MALAISE and swelling of the salivary glands in the cheeks (the PAROTID GLANDS) producing a hamster-like appearance. Mumps in adult men is commonly associated with painful inflammation of one or both testicles (ORCHITIS). Sterility from this cause is rare. There is no effective treatment but an attack of mumps confers permanent immunity. an acute, contagious viral disease of humans (particularly of children), characterized by a swelling of the parotid salivary glands lying beneath the ear and caused by a Paramyxovirus virus. The mumps virus is spread by droplets of saliva and respiratory secretions that enter a new host via the repiratory tract. The disease appears most often during the winter and early spring months, and in adults can lead to MENINGITIS. It may cause sterility in males. Once affected, the individual is usually immune for life. Vaccination is possible, using attenuated virus. n a viral disease characterized by fever, fatigue, and painfully swollen parotid salivary glands. The most serious complications that can arise from the mumps occur if the disease is contracted after puberty. These include orchitis (inflammation of the testes) or ovaritis (inflamma-tion of the ovaries). n (parotitis), a contagious parotitis caused by the mumps virus (paramyxovirus) and characterized by swelling of the parotid gland and sometimes swelling of the pancreas, ovaries, and testicles. The incubation period is 12 to 20 days; transmission is by droplet spread and direct contact; communicability begins about 2 days before the appearance of symptoms and lasts until swelling of the glands has abated. Vaccination is available in childhood. See also parotitis. n (iodine mumps), an enlargement of the thyroid gland resulting from iodides. a communicable paramyxovirus disease of humans that attacks one or both of the parotid salivary glands. Called also epidemic parotitis. There is some evidence that the infection also occurs rarely in dogs and cats. Two-Dose Mumps Vaccine Effectiveness and Immune Response. About one in seven mumps cases lead to viral meningitis. Submandibular gland swelling is considered to occur at a considerably high rate in patients with mumps-associated pharyngolaryngeal edema versus approximately only 10% of patients with common mumps with parotid gland swelling. Three case-patients had permanent unilateral hearing loss that was probably caused by mumps virus infection. The study involved testing sera from children 6 weeks after they were given the measles, mumps and rubella (MMR) vaccine, and found that the antibodies triggered by the vaccine were able to neutralize a variety of strains of the mumps virus, providing "strong evidence [that] mumps viruses were not changing so much that antibodies triggered by the vaccine could no longer recognize them," according to the FDA statement. The programme of immunisations across Liverpool has helped to protect thousands of children against measles, mumps and rubella. On February 5, 2009, Manitoba Public Health was notified of a cluster of mumps cases at the Milner Ridge Correctional Centre (MRCC) in Manitoba, Canada. Many universities and colleges have experienced outbreaks of mumps in recent years. A recent increase in mumps orchitis among pubertal and postpubertal males has raised concerns about fertility issues in men aged 15 to 24 years, according to a review. Mumps infection during the course of childhood acute lymphoblastic leukemia (ALL) treatment has been reported to have a mild course and this was related to the intrinsic low cytopathological effect of the virus, contrasting with the severe course of measles and Varicella zoster virus infections in immunocompromised patients. The illness, which can be caused by mumps or the sexually transmitted diseases chlamydia and gonorrhea, causes testicles to shrink in about half of all cases, and one sixth of sufferers end up with fertility problems due to the infection. Federal health officials tracking a mumps outbreak in New York and New Jersey from June 2009 through January 2010 have found more than 1,500 cases.